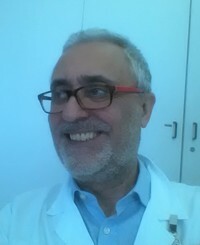 Andrea Landi is Associated Professor in Neurosurgery at the University of Padua since march 2018. He graduated in Medicine at the University of Milan in 1983 and obtained post-degrees in Neurosurgery (University of Milan – 1988) and Neurology (University of Verona – 1993). He spent his fellowships at the INSERM CHRU de Grenoble (F) in 1990-91 and at the Montreal Neurological Institute (Montreal CND -1991) following a comprehensive program in functional neurosurgery, neuromodulation and epilepsy surgery. Since 1988 he attended to stereotactic neurosurgery and radiosurgery with LINAC. As far as 1994 he worked at the University of Milano-Bicocca, Neurosurgical Department, developing a program in functional neurosurgery, with detailed focus on Deep brain Stimulation (DBS) for movement disorders; he cooperated with the Parkinson’s Institute of Milan implementing clinical trials on DBS for PD and dystonia. He teached “Functional Neurosurgery” as Fellow Professor at the University of Milan and University of Milano-Bicocca (AA 1994-2017). His fields of interest are: functional neuroanatomy and neurophysiology of the basal ganglia, surgical neuromodulation in humans, neuromodulation for movement disorders and epilepsy. He is peer-reviewer for many international journals. H-index 21, more than 1400 citations (Scholar – 2018). In 1988 he won DeVisart prize for Neurological research and in 1998 a grant from LIMPE for the research in movement disorders. He organized national and international congresses on functional neurosurgery and annual residential courses for young neurosurgeons; furthermore, he has been an invited speaker at national and international congresses in neurosurgery and neurology. Head of the Italian Chapter of Functional Neurosurgery (2012-2016). Member of the World Society of Neurosurgery, the Italian Society of Neurosurgery, the International Neuromodulation Society.